Interested in a Mazda crossover SUV? There is no more diverse vehicle segment in the automotive industry than the global lineup of crossover SUVs. 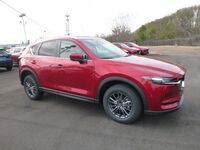 Customers looking for the next, or first, such platform at Gwatney Mazda of Germantown will have three options to choose from, the Mazda CX-3, Mazda CX-5 and Mazda CX-9. In order to help customers get their heads around what each one has to offer, let’s take a look at the first two-thirds of that list. 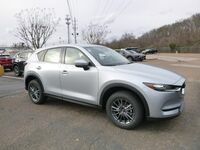 A comparison of the 2019 Mazda CX-5 vs. 2019 Mazda CX-3 will clearly illustrate how far these Mazda crossover SUVs have come for the new model year. Several customers have been curious what the differences are between these two vehicles and Gwatney Mazda of Germantown product experts want to help. New or returning potential buyers can schedule a test drive by calling, 833-241-6312. 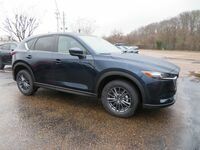 Visitors to the Gwatney of Mazda of Germantown showroom who are trying to decide to between the 2019 Mazda CX-5 and 2019 Mazda CX-3 will notice a few things right off the bat. The biggest difference between the two crossover SUVs will be interior space. Choosing the right one will depend on what each individual buyer is looking for in the next Mazda purchase or lease. While both vehicles have a maximum seating capacity for five passengers, the difference comes down to available interior space. When the 2019 Mazda CX-3 is properly configured, it will have up to 44.5 cubic-feet available for cargo-hauling. On the other side, the 2019 Mazda CX-5 can make up to 59.6 cubic-feet of cargo volume. 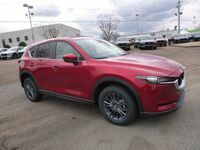 Additionally, the 2019 Mazda CX-5 offers a few more connectivity options than its smaller sibling. Beyond physical dimensions, there is also a difference between performance specifications of the 2019 Mazda CX-3 and 2019 Mazda CX-5. While the latter is able to produce more power than the former, the smaller Mazda crossover SUV does offer better fuel economy scores. 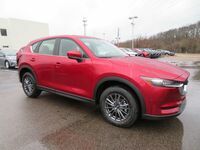 So, buyers will need to work with a Gwatney Mazda of Germantown product expert to identify the aspects of both models that will best work for their needs. Under the hood of the new Mazda CX-3 is a naturally aspirated SKYACTIV®-G 2.0-liter, four-cylinder engine that is attached to the SKYACTIV®-Drive six-speed automatic transmission. On the other side of the equation is the 2019 Mazda CX-6 and its SKYACTIV®-G 2.5-liter, four-cylinder engine that can also be available with a turbocharger. Naturally aspirated versions will make 187 horsepower and adding the turbocharger will push that output to as much as 250 horsepower.